This summer, I took my very first trip over to Europe with my husband, Jesús. We began in Paris, France and ended in Zurich, Switzerland. Swoon-fest. It was almost one whole year ago that the two of us started planning this epic two week anniversary trip, just after our friends (who live in Zurich) invited us to come over and stay with them for a week during their summer holiday. We needed no further excuses to start hunting down plane tickets, making arrangements, and saving. Zurich prompted the trip, and Paris became the bonus - a highly anticipated bonus, as I’d always imagined it to be the place that I would first get to visit in Europe. A little cliche - but I don’t care. It worked out this way, and I am forever thankful! We arrived in Paris first, stayed for one week, and then took a train to Zurich to stay for another week with Martin and Anita - our Swiss friends, who Jesús first met several years ago in Florida while they were on vacation. 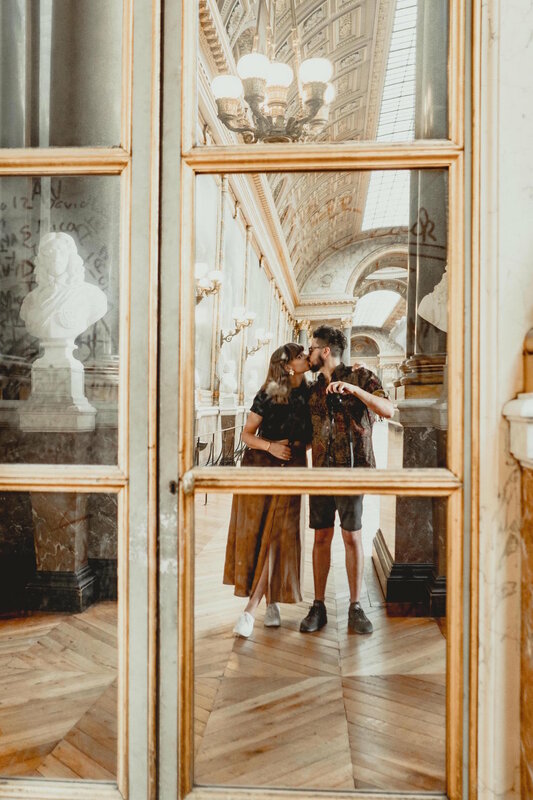 The order in which we visited couldn’t have been sweeter - the fast paced, beautiful, glittering rush that is Paris, followed by the relaxing, scenic embrace that was Zurich - left us with the feeling that we both adventured and rested well in the end. So in order to represent each experience well, I’ve decided to separate them out into their own respective posts. Before I even share our tips, recommendations, photos, etc. 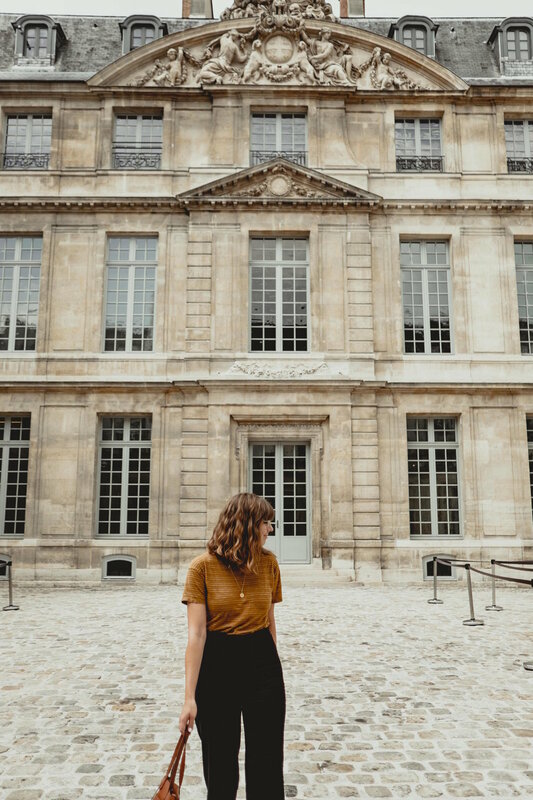 I would like to shed light on two very common American assumptions about Paris - both of which proved to be true to me almost immediately after arriving. 1. Paris is as every bit as romantic and beautiful as everyone says it is. Every street corner, boulangerie, passage way, made me feel like I was walking through an old French film with my man. 2. Parisians are absolutely stunning people, and yes, it is not uncommon to see them carrying around baguettes under their arms from time to time. It’s a thing, and it was quaint and cute as heck. Now. 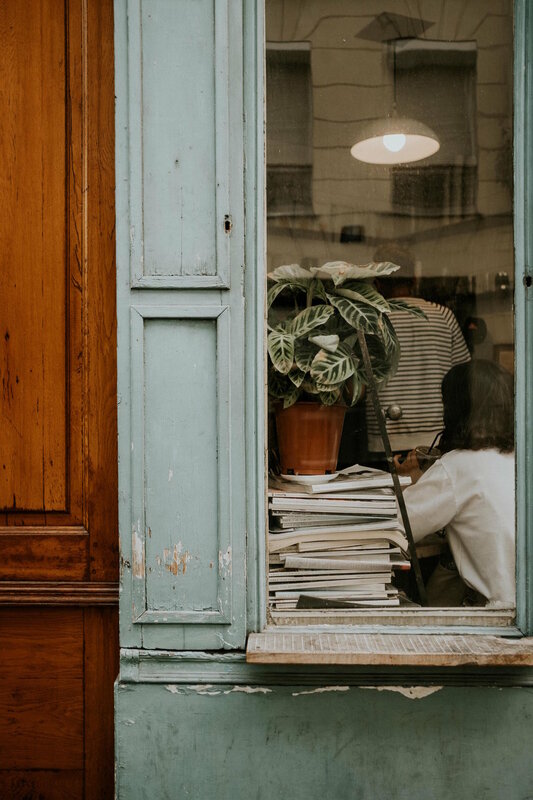 To share all the tips and recommendations I could possibly muster into one blog post, as a girl who did her very best to soak in as much of Paris as she could in her first week of visiting. 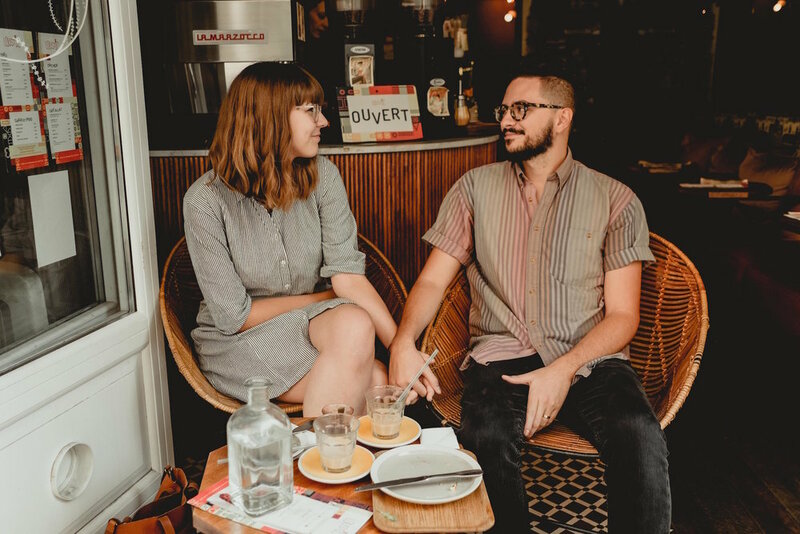 Many of these are results of the experiences, discoveries and advice of not only Jesús and I, but just as well from the thoughtful guides by Beth Kirby of Local Milk and a kind new friend, Ali Marsh - who both helped pave the way for us to truly soak in and explore Paris like locals. I am so thankful for their guidance, and very excited to continue to add to this list one day. 1. Le Marais is the place to be! 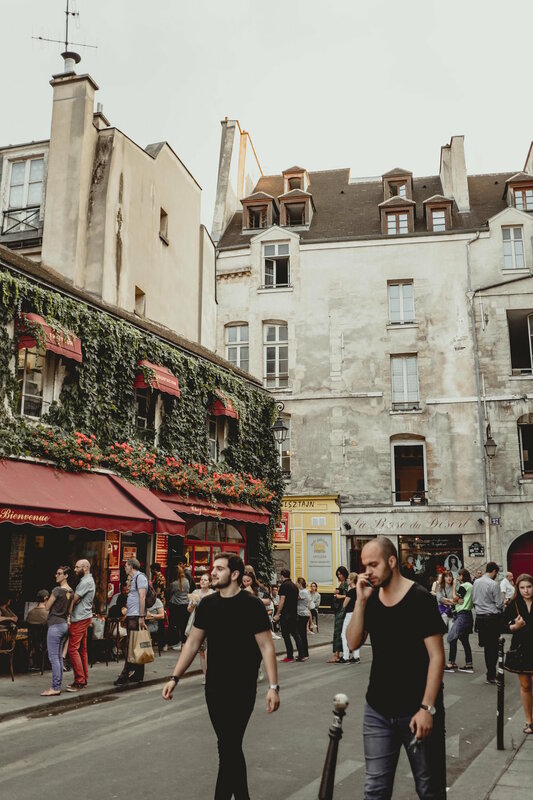 When trying to decide on a place to stay, consider checking for spots around Le Marais in the 3rd arrondissement! This whole neighborhood is packed with adorable shops, bakeries, coffee and food. AKA, the hipster part of town. We rented our Aribnb here, near the Picasso museum, and we would do it again in a heartbeat! Every time we ventured out of Le Marais to visit a tourist attraction, we couldn’t wait to go back ‘home’. 2. Uber from the airport. We found that getting from the airport to our Airbnb was the easiest via Uber. To each his own. 3. Learn the Metro ASAP! It will open up vast amounts of opportunities for quick, cheap and easy travel around the city! 4. Plan outside the months of July and August. I wouldn’t recommend scheduling your trip for the hottest month in summer. July. Seriously. France ain’t got no AC guys, and we were there on some of the hottest days of the year, as Floridians crumbling in the heat. Just as well, the city basically shuts down for holiday during the month of August. 5. Take some time. I would recommend staying for a week or more, if you can! There’s just so much to see! And even at 7 days in, we felt like we only scratched the surface on all that Paris has to offer. 6. Take a lightweight canvas tote bag with you. For picnics, for stops at the market, for your antique finds. 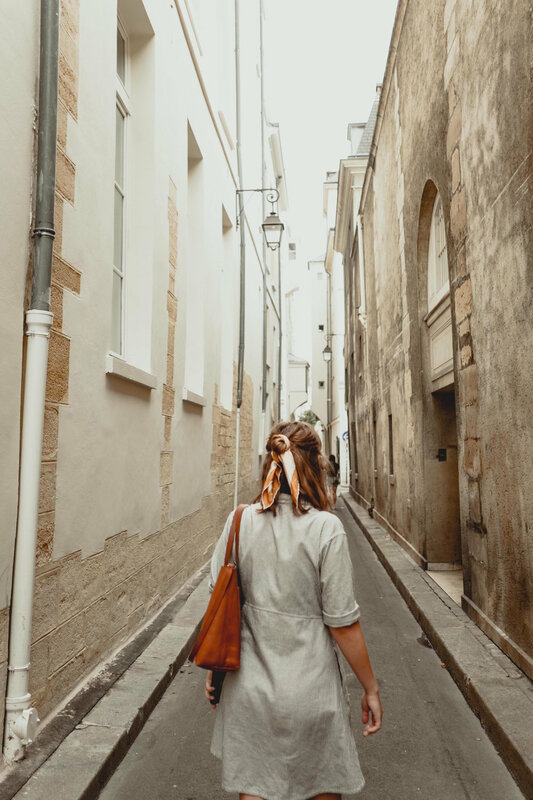 We saw so many Parisians carrying around a canvas tote along with their purses, and it just made so much practical sense after we noticed. 7. Pick pocketing is a thing, but I didn’t see any of it happening around me. I think the trick is really to just blend with the locals as much as you can (sans backpack or lots of shopping bags) to avoid becoming an easy target in high traffic areas. Around busy monuments or attractions, we just kept our wits about us and we were totally fine. 8. Pack an umbrella that can fit in your purse! 9. Public restrooms are pretty common, but you have to pay for them. They weren’t my jam anyway, so I just made sure to use the toilet before leaving any of the restaurants or museums. 10. Pack and wear comfortable shoes! We walked SO much, and by the end of the week, all I could bear to put on my feet were my tennis shoes. 11. Plan ahead with tickets. When planning to visit a museum or attraction, buy your tickets online ahead of time! Lines can get crazy depending on the time of year, and you’re better off just having your ticket ready on your phone when you get there! 12. Don’t forget the EURO power/plug converters! 13. Try to lead with a little French. Even if it feels totally awkward. Even if all you can muster up is a soft, kind, “hello, good day, do you speak English?”. We felt that the Parisian culture was a little reserved, but not at all as unfriendly or rude as some American reviews may suggest. We were respectful, friendly, and as a result, ended up making a friend just about everywhere we went. 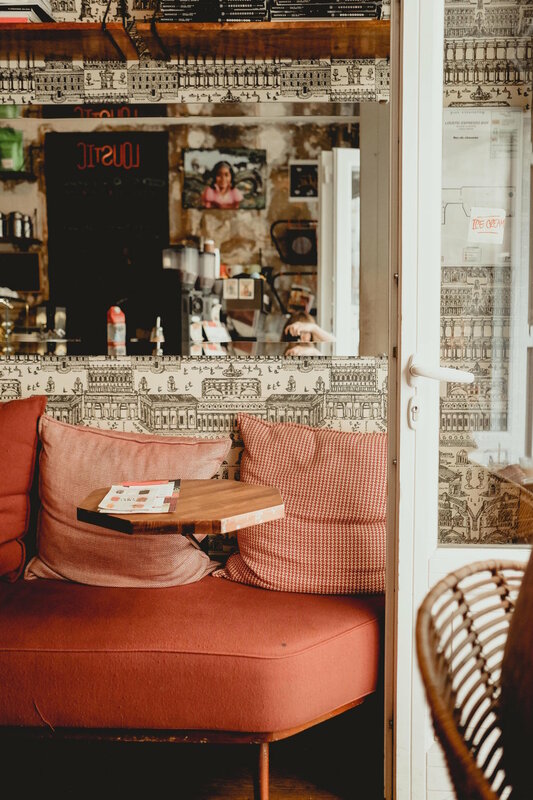 • Miznon - Le Marais is full of delicious stops for Middle Eastern food, but our absolute favorite of the few we tried, ended up being an Israeli restaurant, Miznon! Just PLEASE do me a favor and order their whole-roasted cauliflower and ratatouille. • Holybelly - Hipster brunch heaven. There is always a line, so unless you’re alright with waiting, I recommend going early or at a weird hour! • Breizh Cafe - the BEST crepes. I had the caramel apple crepe with whipped cream. Thinking about it now almost makes me tear up. • Marché aux Enfants Rouge – Saturday Morning farmer’s market. Just bee-line for the sandwich counter and watch in awe as a kind man with a wheel of cheese, aged beef, and a grill makes all your sub dreams come true. • Wild & The Moon- we didn’t get a chance to visit but I’ve heard great things about this sweet little cold press juice & vegan food stop! • Pink Mamma - another missed stop, that I cannot wait to try next time we’re in Paris! I’ve heard that their pizza is just as incredible as their IG-worthy aesthetics! - We stopped into many other little bakeries along the way for random croissants or macaroons and I couldn’t remember their names if I tried. The beautiful thing is that Paris is full of these, and the less of a touristy spot you’re in, the better I personally think the experience will be. So pick a random boulangerie, get a chocolate croissant and enjoy! 1. Neighbours - we visited twice -and I ordered the same dang breakfast with my latte twice in a row! Couldn’t resist the seasonal granola and yogurt bowl, with a side of grilled banana bread with espresso butter. Hello. Amen. 2. Café Loustic - aesthetic af entrance - delicious specialty coffee. 3. Boot Café - the most instagram-able little coffee shop facade ever! Also their coffee is amazing. 4. Télescope - perfect stop before or after visiting the Louvre. • Lõu Yetu - If you’re there during one of their monthly pop up showrooms, you’re in serious luck (or trouble), because I wanted to take every single piece of their bespoke jewelry, hand-crafted in Paris, home with me! Rather, I landed on a beautiful pair of statement earrings, that I know I’ll love dearly for a lifetime. • ZOE LEE – boutique shoe shop of my dreams! Currently saving my dollars for this shop one day. • Marche d’Aligre – A combination of a flea market and farmers market! Check for hours on this one! We found such cute little antique goods here that will be a part of our life and home for many many years to come. • Marché aux Enfants Rouge - more than just delicious sandwhiches - ha! • Merci – super cute cafe and concept store within the Marais. 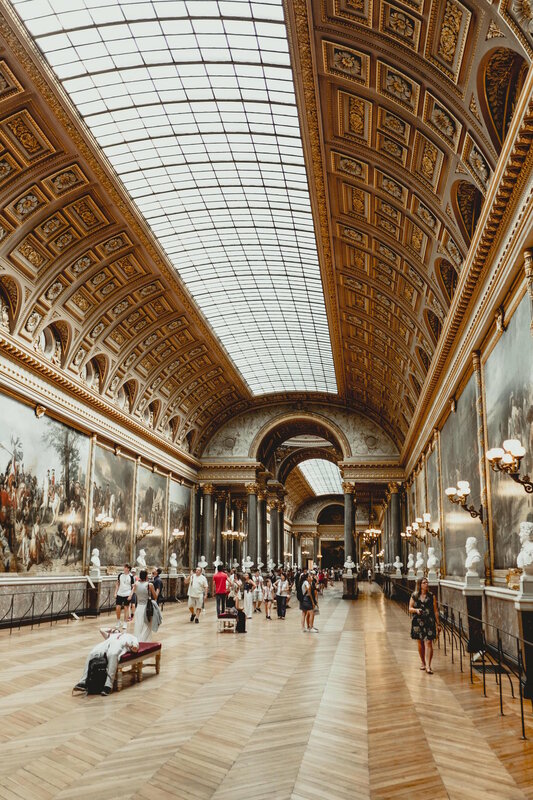 • Musée de l’Orangerie - My favorite museum - right down the street from the Louvre. • Musée d’Orsay - Jesus’s favorite museum - we both almost cried over the Van Gogh paintings there. • Musée de Louvre - Get to the Lourve when the doors open unless you’d like to wait in the craziest line. That is all. It’s beautiful and impressive, but best not to visit on the hottest day of summer as well! • Musée de Montmartre - the atelier-apartment was my favorite part of this museum! • Palace at Versailles - You MUST visit Versailles if you have the time. It’s a quick train-ride out of the city, and 100% worth spending a day there. We purchased our tickets ahead of time, and made sure to get the ‘skip the line’ type of ticket (this is a must unless you’d like to wait an hour to get in), and had so much fun exploring the grounds on foot and on bike. I’ve dreamed of visiting since high school and it did not disappoint. • Montmartre - a super cute ‘quintessential Paris’ part of the city to spend a day exploring. We visited Sacré-Cœur first, then Musee de Montmartre, and found ourselves wandering the streets with ice cream and crepes for the rest of our visit. It was so fun to photograph each corner. • Tour Eiffel - it goes without saying that the Eiffel Tower is a must-see while in Paris. I will say however that we visited twice. The first time was not so fun - very ‘expectations versus reality’ check ha. The second time was by boat, at sunset, and it totally redeemed the first experience. If you’re interested in the boat tours, they are surprisingly inexpensive and easy to find! We booked our spot a couple hours before the boat left, out of the dock by Notre Dame. It was an hour or two tour down the Seine for €15 a person. We sat on the top deck, enjoyed the breeze, it was perfect. • The Seine - Before sunset. Take some bread, cheese and drinks with you on your way to the Seine, chill out by the water over a picnic, and then walk the long way home through lamp-lit streets back to your apartment. My heart could burst thinking about how sweet this kind of moment feels. Thank you so much for reading/viewing. A boat tour down the Seine, to cap off the last day of our trip. It was a sweet finale.